Big win for the Irishman in Boston. 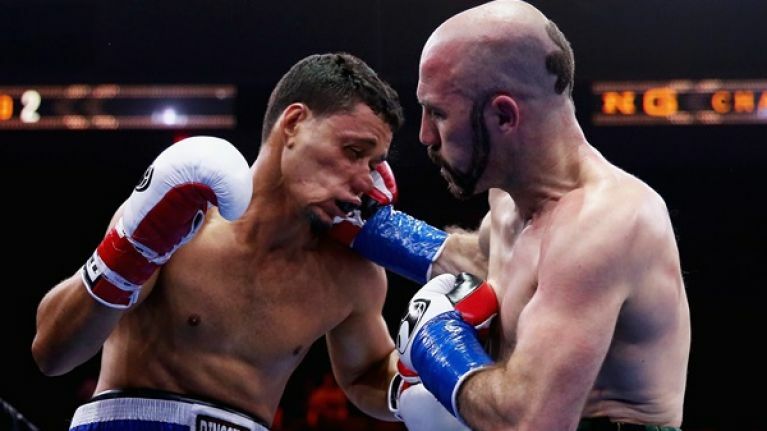 Gary 'Spike' O'Sullivan could be about to line up a fight with Gennady Golovkin after an easy win tonight for the vacant NABA middleweight title in America. The Corkman was fighting Melvin Betancourt as part of the undercard of James DeGale’s meeting with Andre Dirrell at Boston’s Agannis Arena. The Irishman is now part of the team led by Ken Casey and his previous fight was against Milton Nunez in March. The win was almost impressive as the garb that the Corkman wore into the fight. Spike O'sullivan does it again with a KNOCKOUT !!!!!! !